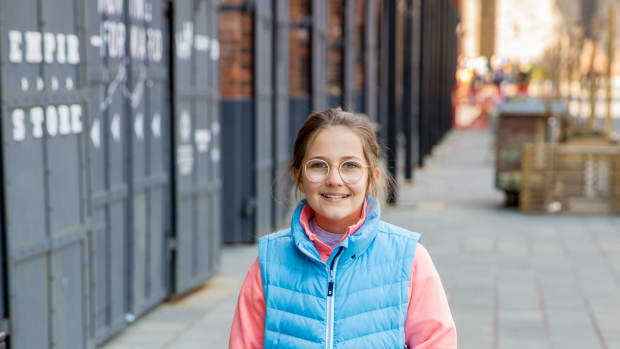 My daughter loves any kind of crafty project you can come up with or find for her to get her hands on. When she was younger I was much better at finding things she could create and make, but as she&apos;s gotten older and I have another little one to keep me busy, we do our crafts during his nap time. 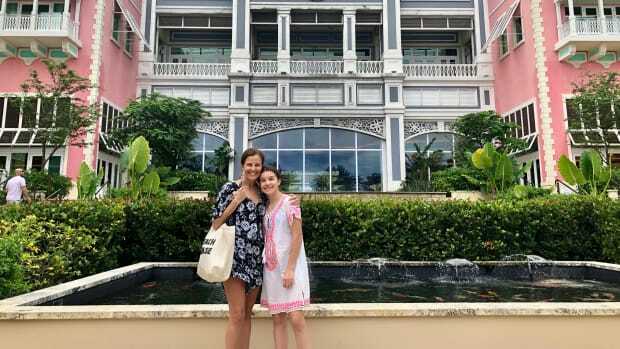 I usually don&apos;t have time to come up with something creative to do and that&apos;s why this summer we&apos;ve loved the Creative Hands Craft Totes by Fibre-craft. 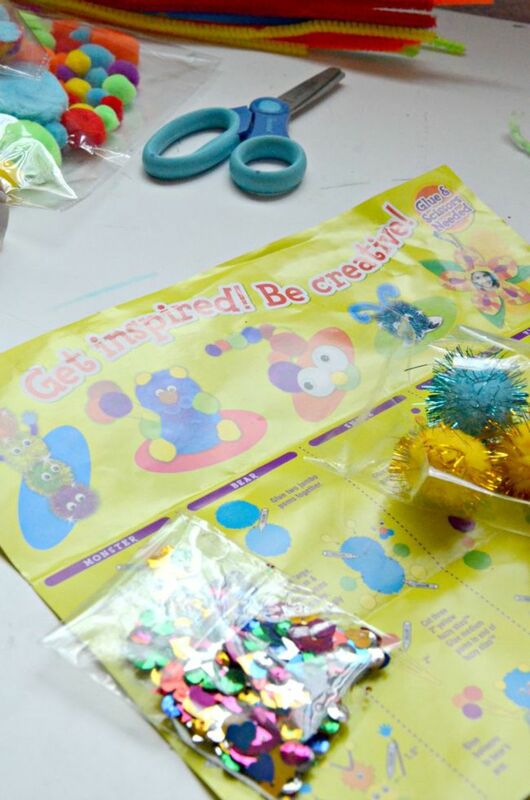 These craft totes come with a variety of craft supplies and offer kids an easy and fun way to get crafty! 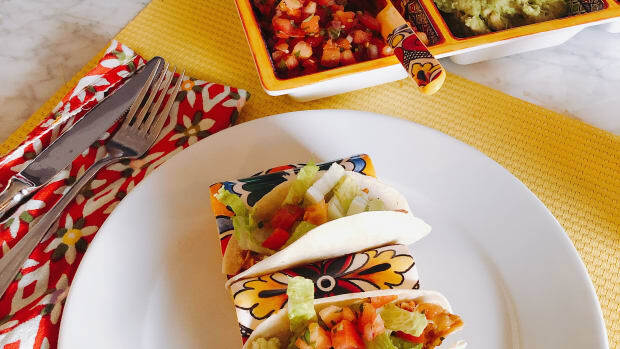 There are 3 Creative Hands totes to try out. Zoo 2 Do, Paper Pals Bugs and Flowers, and the Creative Fun Tote. Each tote comes with all kinds of colorful art supplies and a project sheet with fun craft ideas and guidelines on how to create the projects. This is a peek into the Creative Fun Tote. 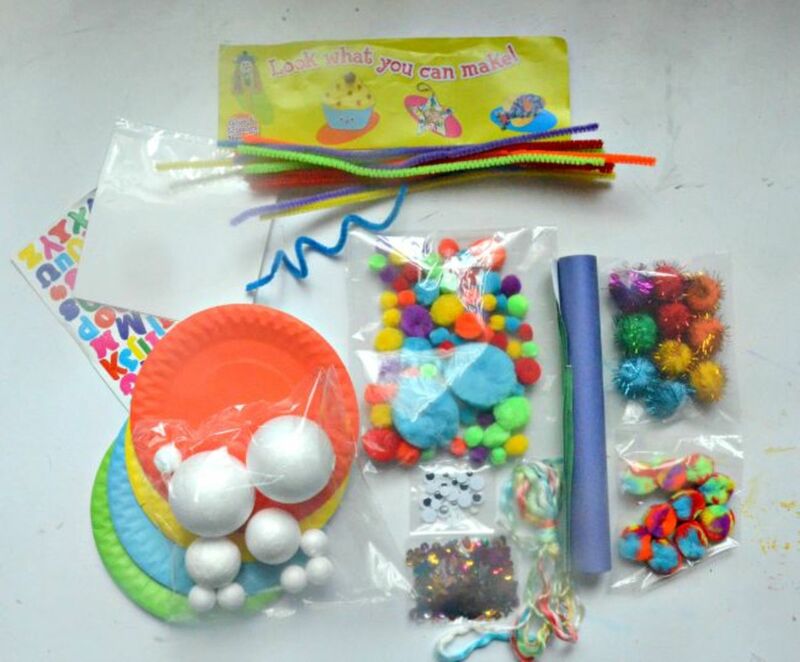 It comes with lots of colorful paper plates, Styrofoam balls, different size pom poms, stickers, paper, pipe cleaners and more! 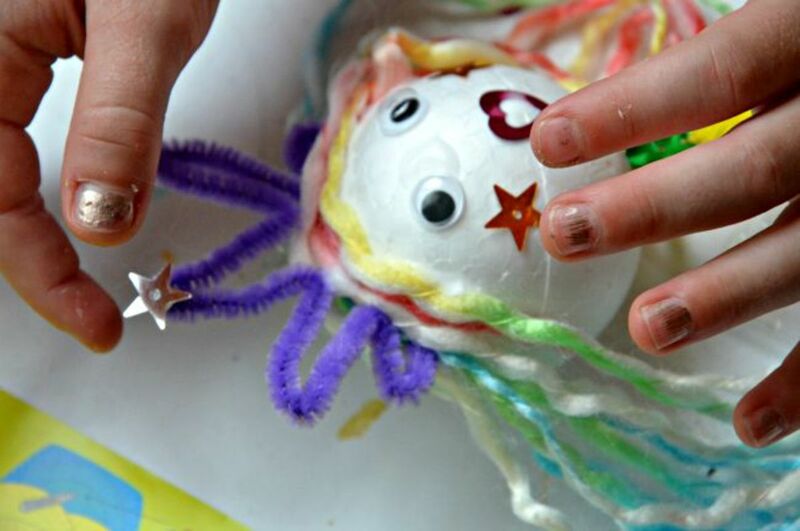 There are lots of goodies to create some fun crafts and inspire their imagination. My daughter wanted to try out the pencil topper craft first. This craft project required the use of glue, scissors and some assistance with me to help hold the pencil steady as she crafted on it. 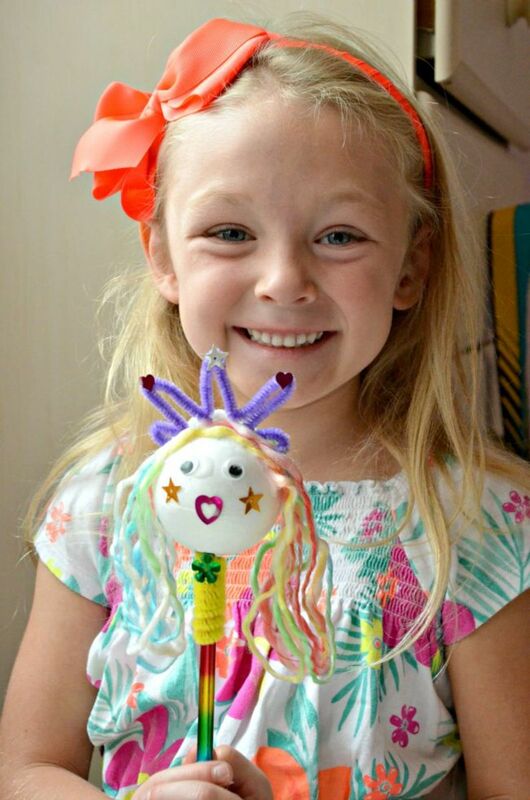 Using the yarn, styrofoam, decorations, goggly eyes and pipe cleaners she made a fun pencil topper princess for her favorite rainbow pencil. 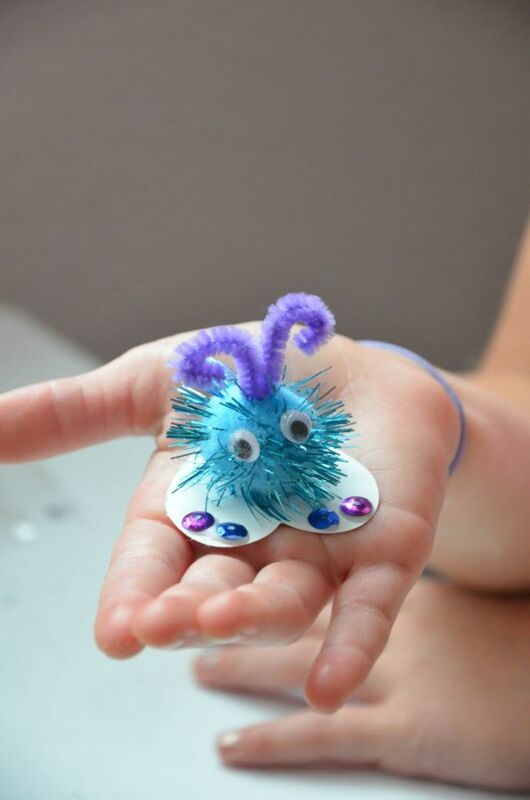 One of the other projects in the Creative Fun Tote was this Sparkly Hug monster guy. 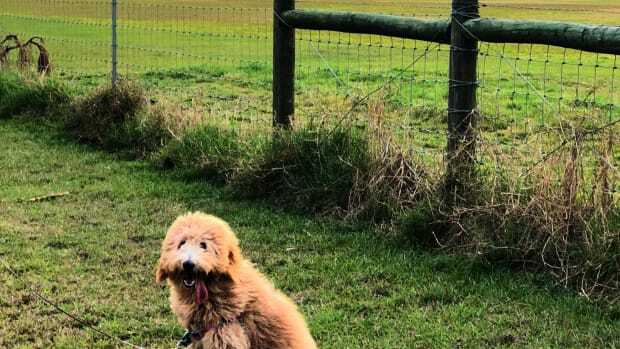 Seriously, isn&apos;t he just the cutest! He fits right in the palm of her hand and has become her little desk buddy. We traveled quite a bit this summer and we took the Creative Hands craft totes with us. We love Grammy&apos;s house but she doesn&apos;t have all the craft supplies we do so this was a great activity to have at Grammy&apos;s house. 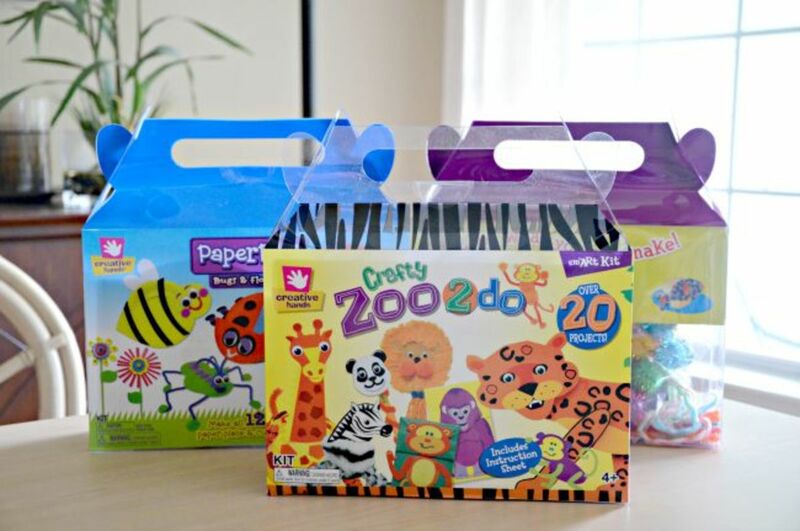 The Zoo 2 Do craft tote has 25 projects! 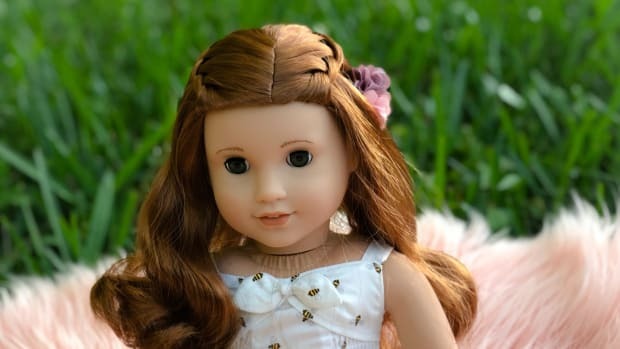 This kit is rated 4+ which is good for even younger crowd with fun projects with simple execution. 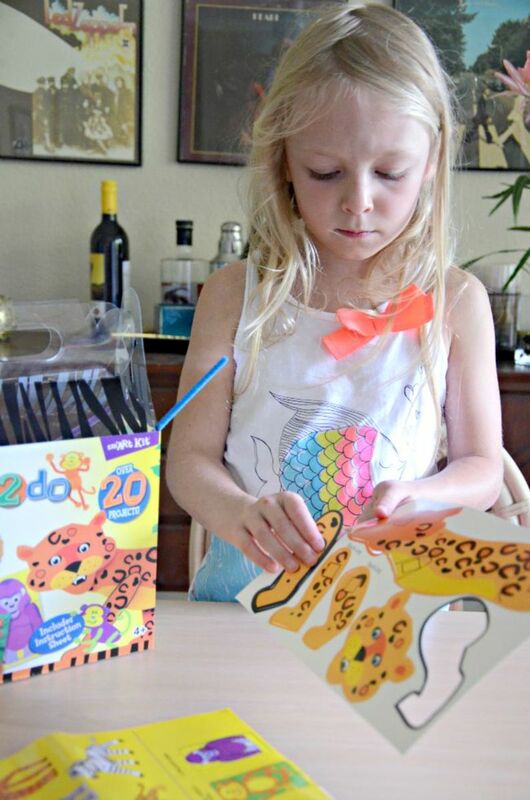 She made the puppet animals from the Zoo 2 Do craft tote. 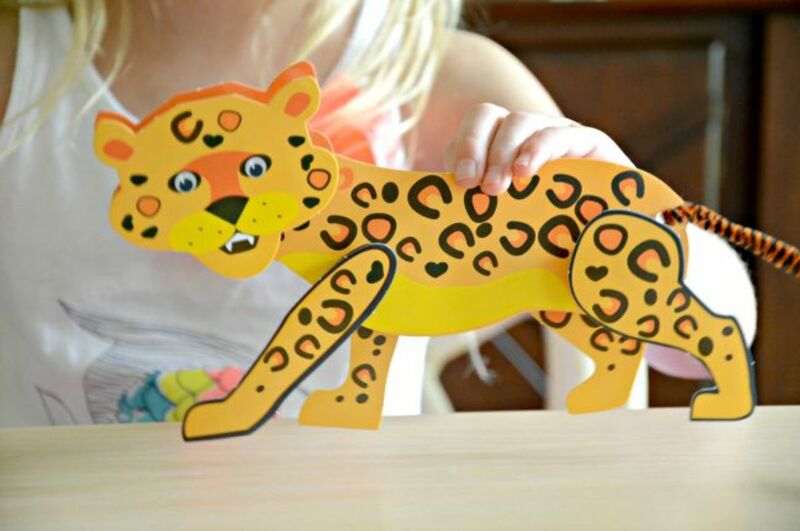 She loved how easy these were with pop out paper pieces and foam sticky squares to connect them all together. She didn&apos;t need my help at all in putting these puppets together. There are little foam grippers on the backs to make it easier to hold and play with. 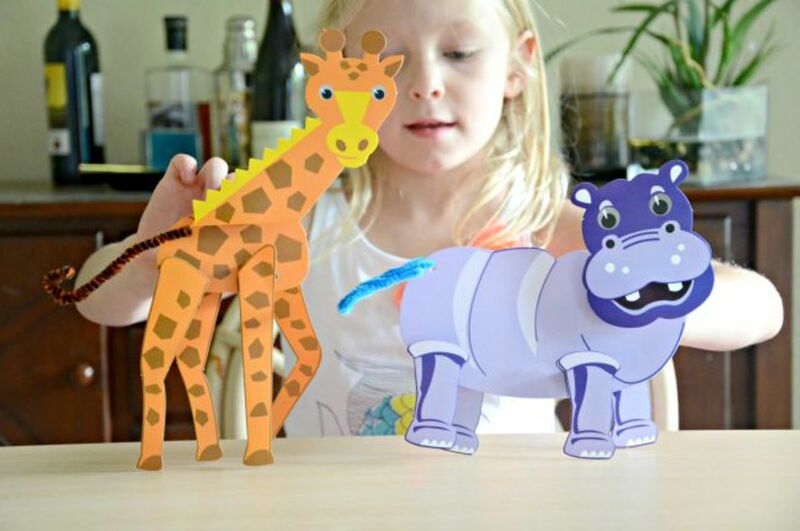 She loved creating the jaguar puppet so much that she wanted to make the giraffe and hippo puppets right away and play with them all! These puppets were so easy for her, she loved creating them and then making up stories with the animal puppets afterwards. 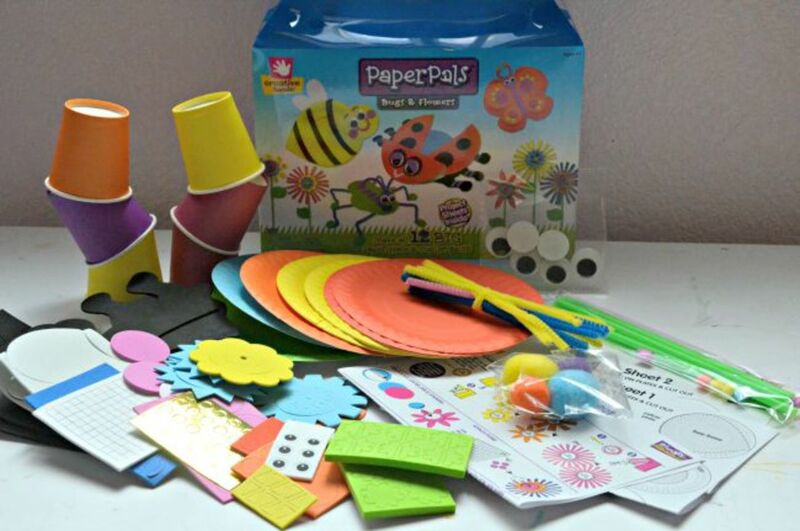 The most recent box that we opened this summer was the Paper Pals Bugs and Flowers Box. 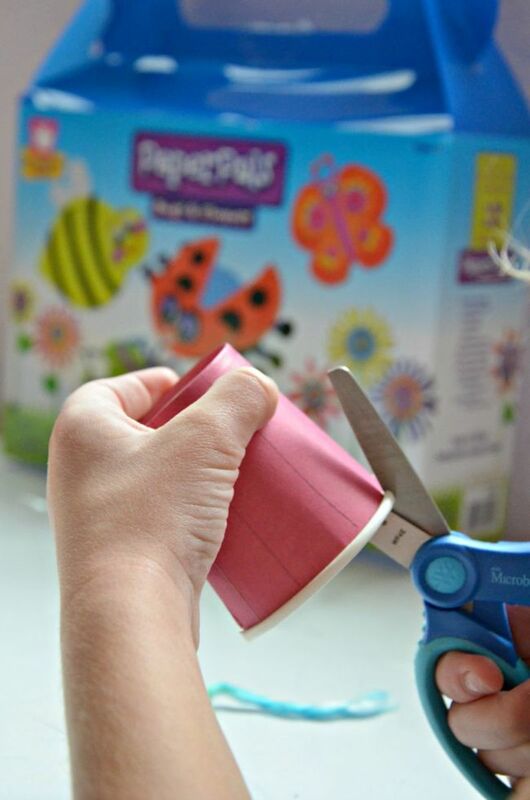 This box contains 12 bugs and flowers projects using paper plates and cups. 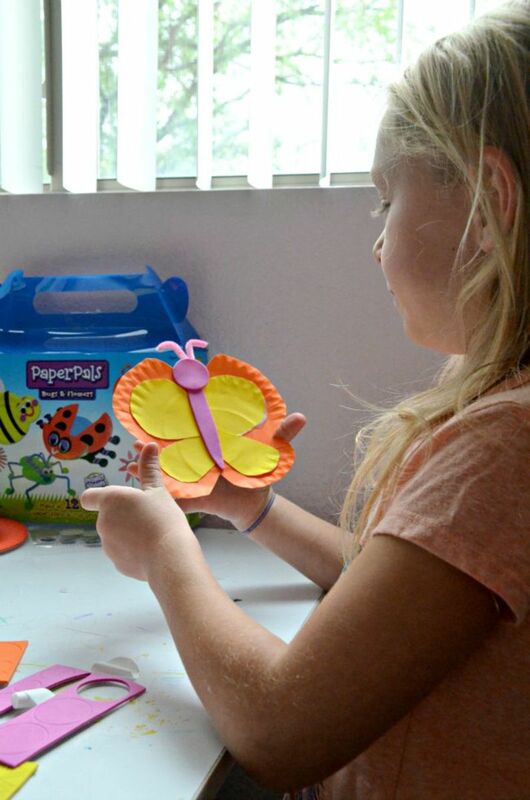 She choose to create a paper plate butterfly and paper cup flower. The Paper Pals craft tote did require a lot more cutting than the other 2 totes. I think it was completely worth it though because of how stinking cute the flower and butterfly turned out. 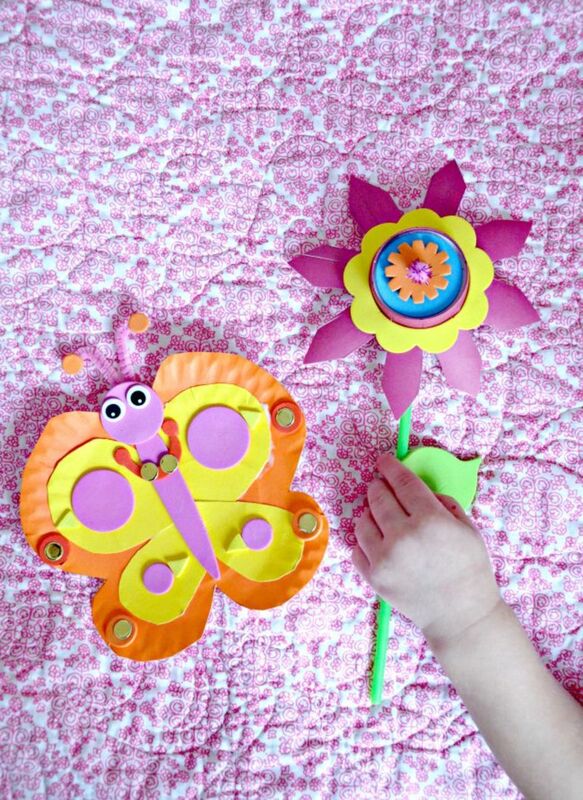 I can&apos;t wait for her to make the other bugs and flowers and use them to decorate on the wall above her desk for some added inspiration. The projects in the Paper Pals craft tote turned out super cute. We even helped my little guy make his own flower with some help. Overall we loved the (almost) all-inclusive these Creative Hands craft totes were. Please note: you will need glue and scissors for some of the crafts. The Creative Hands craft totes by Fibre-craft were easy enough for my 6 year old to do by herself. She only needed help with a few little details. 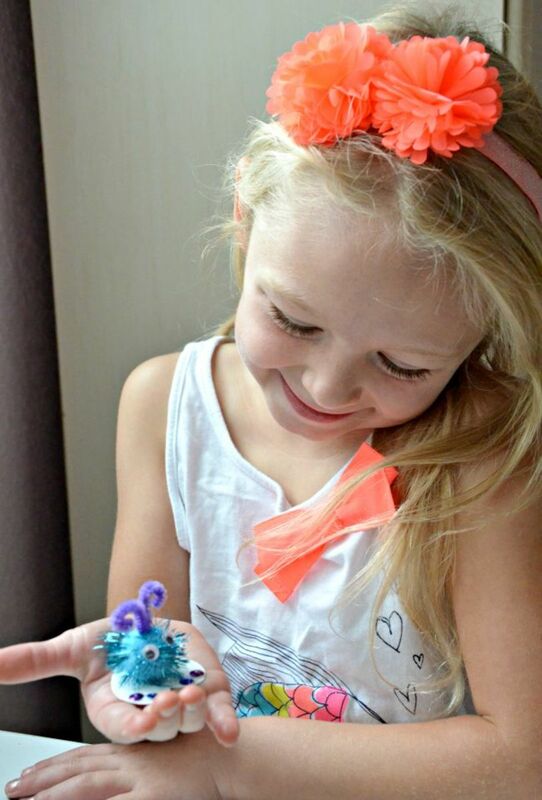 The craft totes were a good way to use her hands creativity during the summer and sparked her imagination with all the little creatures and bugs we made. We were very happy with all 3 of the Creative Hands craft totes. Shop! These Creative Hands craft totes can be found at craft stores like A.C Moore, Michaels, Hobby Lobby, Craft World and Joann&apos;s. The Creative Fun Tote is only $12.99 $7.95 from our Amazon affiliate.